Sports Car Digest covered vintage car races from Portland to Portugal in 2009, taking tens of thousands of pictures along the way. We worked with amateur photogs armed with Nikons to wily veterans stalking a shot like a hunter following its prey, all seeking a picture to wow our readers. We narrowed down the images to the following twenty, chosen solely upon the number of times they were viewed by readers. Please vote by leaving a comment with your favorite image. If we didn’t include your favorite picture, share a link of what you think was best. We’ll announce the winner in next week’s newsletter. I liked this picture the most too. Auto Union D Type. Alan de Cadenet’s profile combined with the leather helmet and split goggles makes this a stand out image. So many good ones to choose from. 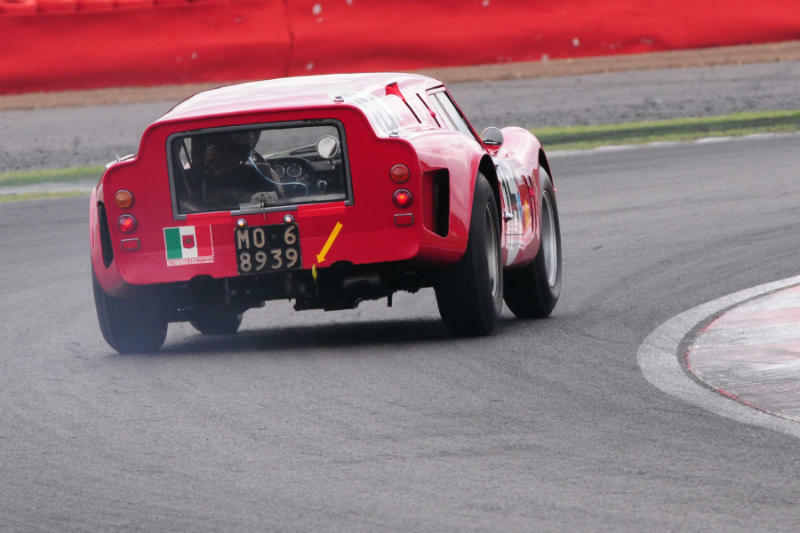 The Lister Jag flying, the Datsun on the Safari rally, the Lola T70 and the Breadvan all have a great sense of motion. Some of the others don’t convey the speed these things are carrying, but those 4 stand out for me. If I had to choose one, I’d have to fall back on my rally background, and go with the Datsun. McKlein photos are some of the best, after all. I second Jon’s comments about enjoying photos that convey speed. If I had to choose the one for my wall though, it would be the Porsche 356 shot during La Carrera Panamericana as the colorful setting and my favorite Porsche would be enjoyable to see day after day. The Lola T70 Mk II and Brabham BT23 photos are tops for me. If forced to pick one, it would be the Brabham. Yes, a Lola is always great mechanical eye candy for me and in this picture it appears to be “doing” something. Lots of great photos here, but I’ll pick the Lola T70 at Road Atlanta. My vote is for the Lola T70 Mk II by Darren Pierson. Great pic! at portland makes my day…..
McLaren M8C – Can-Am Lives! 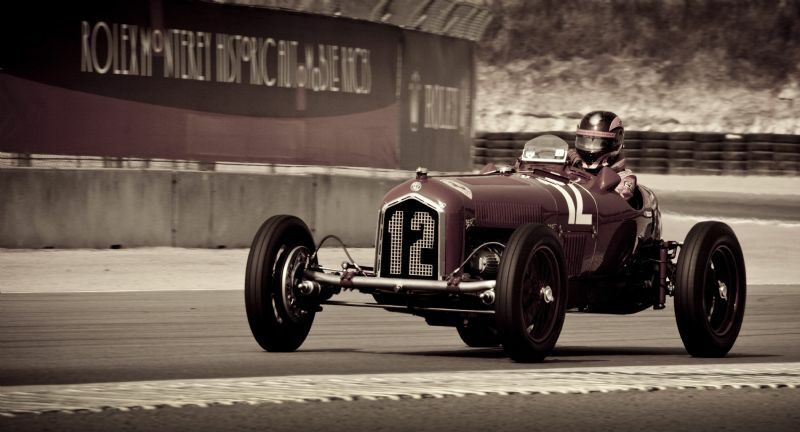 Are we sure of the title description of the ERA?….sure looks like a pre-War Mercedes to me, as well as possibly an Alfa in the background. All the photos are superb…..how can you really choose? The Porsche 356 shot is extremely well composed with it’s blurred yellow foreground, curving yellow wildflower-lined road, all complimenting the yellow car. It gets my vote for best shot. Thanks for the opportunity to see these great shots. Compliments to all of the photographers. I vote for the Can-Am cars at Laguna, though the best vintage event I attended in 2009 was at Road America, with over 20 original GT 40’s, including all of the Le Mans winners. Fully agree with you, except that I vote for Dennis Gray’s McLaren M8C shot at Laguna. The T70 is my pick. Been there, done that. I am pretty sure I am talking to the right person, I hope all is well I am out on the east coast and I remember you talking about VIR when I was in high school. If you are still active with the traveling I would love to catch up. Hope all is well and maybe this will make it to you somehow. I’ll have to go with the flying Lister Jaguar prototype photo by Simon Wright. I have a special affection for the yumping Lister Jaguar LeMans coupe, too. In 1967, as a teenybopper on my first trip to the UK, I actually got to watch that car it action- touch it, even- during the Brunton Hill climb, which I attended with my gearhead uncle. Back then, the Lister was driven to the venue by its owner, with extra wheels and tyres impossibly stuffed behind the seats and in the passenger’s bucket. The Datsun Z in Africa. #7 edges out #17 for 1st in my humble opinion. Wheel lifted, great angle on the shot itself, it screams SPEED! 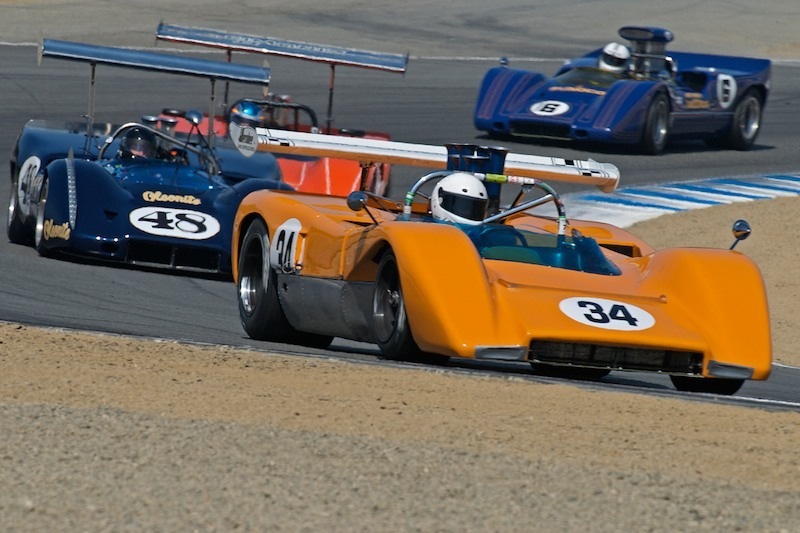 this photo by Dennis Gray of CanAm machines in the Laguna Seca corkscrew is exciting. 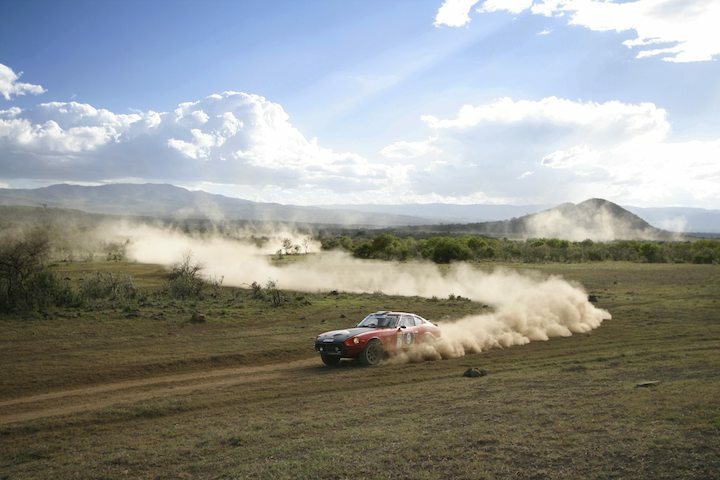 I’m a Z fan so I vote for the Datsun stirring up the African dust. I also have a soft spot for Can-Am having attend a few as a teenager at Laguna Seca. I was at this vintage event at Infineon the day before this happened but here’s a spectacular shot for Can-Am fans. As a jaguar owner I wanted to vote for the airborne jag until I saw the Porsche 908/3 leads Porsche 917K during Monterey Historics photograph. That Dennis Gray shot just stands out with the Gulf colors, great vehicle placement in the frame, and the cutting down into the curve stance. That is racing! Twenty incredible photos, but the one that really “captures the moment” for me is by Simon Wright, with the airborne Lister Jaguar prototype. Well now, the BT23 is MY pick, perfect DOF, timing, framing. Spot on. Yes, that is most DEFINITELY the single ERA E type. I’ve sat in it! wouldn’t turn any of them down! Dennis Gray’s Gulf livered Porsches.He also took great pictures of a 904 in Monterey 2009! I have to go with the Lister Jaguar. How do people get these kind of photos? Max Werners Ferrari looks like it’s about to drive off a cliff & the front wheel angles tells me he is trying very hard! 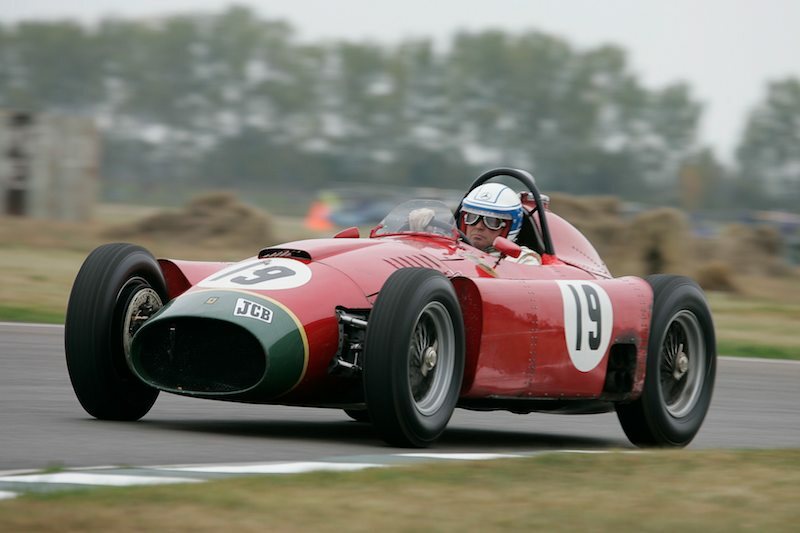 Jochens Lancia-Ferrari D50 is beauty to re-think suicide!! Yellow Porsche 356 is so reminiscent of Targa Florio! BT23 because ‘Black Jack’ did something that no-one, repeat no-one, will ever do again!! 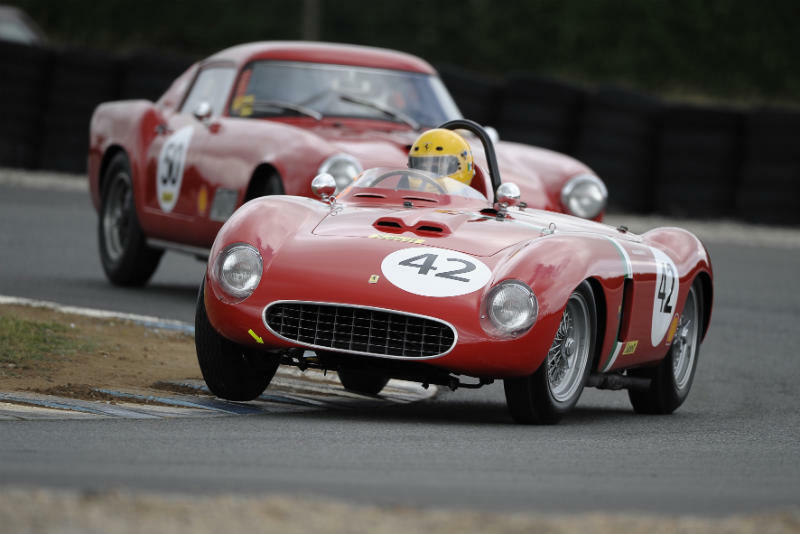 908/917 for their exquisite eternal beauty, both of ’em!! but the photo which I think stands out for many reasons, some inexplicable, is Rick Bell’s Lola T333, could be inspired by that one for yonks!! Thankyou for the great site. Lola T-70 under the bridge – perfect combo of great car and great pic! 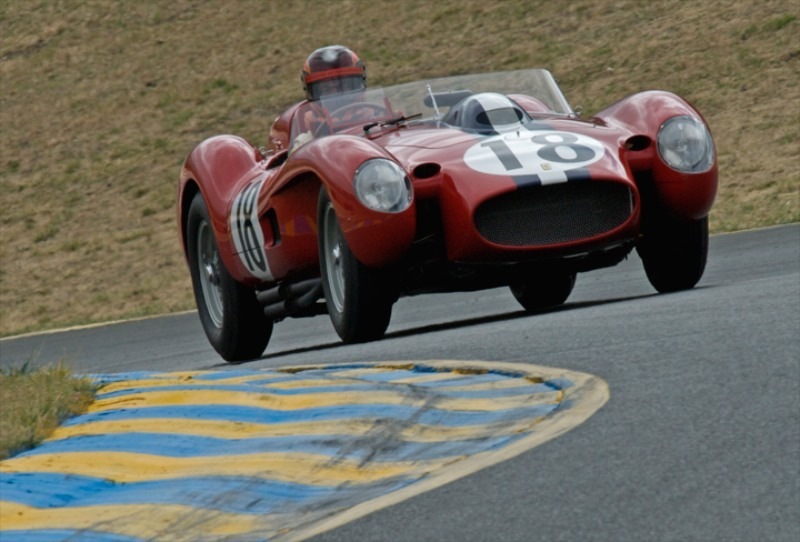 Don’t mean to be out of phase, but my vote is for Richard Prince’s photo of Peter Giddings in his 250F Maserati shown in VeloceToday on 16 Dec. 2009. I like the Lister Jag on the bridge. For me it must be Stirling in the W194. Man and machine typify all that is best and honorable in our sport. Lola T70 Mk II prepares to dive under the Yokohama bridge at Road Atlanta. Great shot, great car, and it reminded me of some good times at Riverside International Raceway. 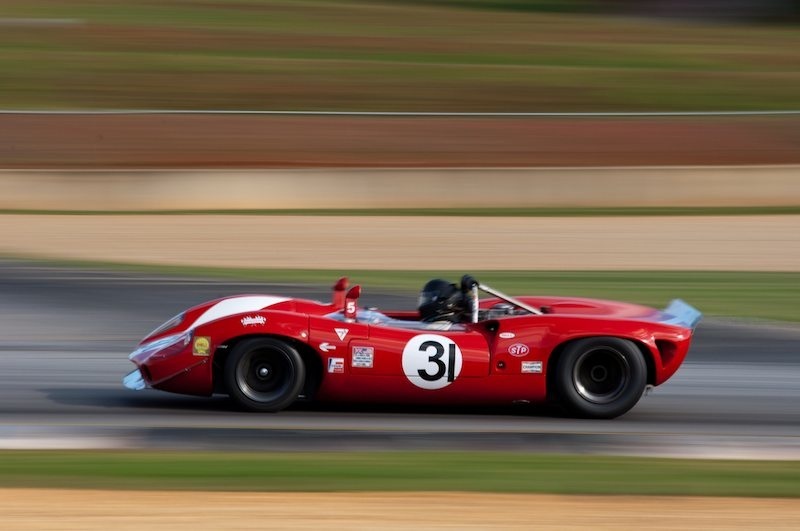 You can feel the speed of the Lola T70 Mk II @ Road Atlanta(Darren Pierson). It’s got my vote. V12 Auto Union D-Type is my favorite. That iconic silhouette says ‘racing’. Alain de Cadenet driving the V12 Auto Union D-Type during Monterey Pre-Historics. My winner because it’s the photo that makes me want to be there the most. Difficult question, but McLaren M8C at Laguna takes the prize with the Auto Union D-Type a whisker behind in second. The Brabham for me, with the Auto Union a close second. All are great shots. You gotta give it to Jon Shirley’s P3 ,with the Brabham a close second. The Lancia D50, I did a drawing of one of those cars, mine was a static shot, seeing it in action is great. My choice of this wonderful group is Moss in the W194 with Mass in the D50 a close second. Moss’ 80th at Goodwood was proof that you really can go back with vivid emotion and Mass’ drive was inspiring. The Auto Union because it looks era proper with leather bucket and all. I also love the Alfa vs the ERA. Jon Shirley’s two pics are my favorites but of the two, the Shirley Alpha Romeo P3 shot is absolutely stunning and gets my vote! Thanks! That was one of my favorites from the weekend as well. It looked good from where I was sitting too ! Did they announce a winner yet ? We announced the winner in our weekly newsletter a few weeks ago. Our readers chose Darren Pierson’s Lola T70 Mk II at Road Atlanta as their favorite, followed by Simon Wright’s jumping Lister Jag and Dennis Gray’s Can-Am picture from Monterey. Love the Ferrari breadvan shot as well as the D-Type into the sunset. But for me the Lister catching ait is the Best Photo. Whaqt can you say. Aren’t they glorious! For my money, the Lister, the D Type, Brabham then all the Ferraris. 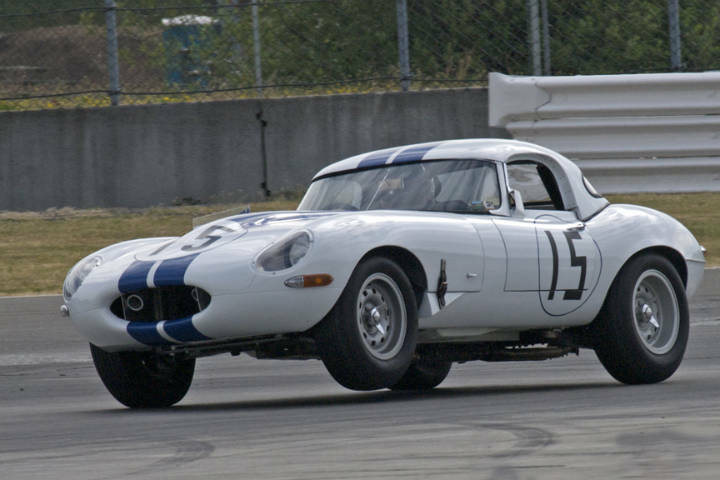 The E type , with a wheel in the air is my favorite. Then the D type .. see where I’m going here. For a non-Jaguar photo, I love the D 50. Brabham BT23. Just hear that sound and feel the breez and smell all from a photo…….perfect. 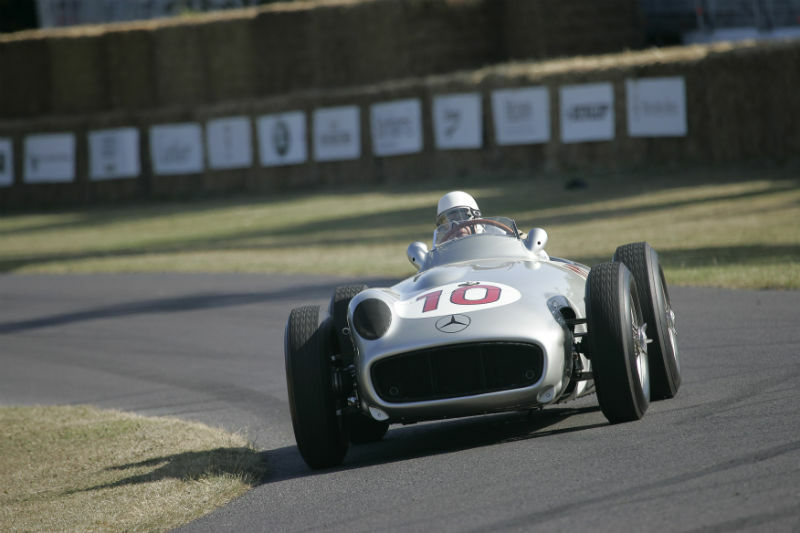 My favorite is Moss in the Mercedes Benz W194 at Goodwood. I have a picture of this car, #10 driven by Fangio at Spa in 1954. Its nice to see the car survived and is still out in the public eye doing what it was designed to do. Bruce….maybe you meant W196 ?? Some of us remember visiting the Jaguar dealership in the 1960’s and being absolutely awed by the low, graceful architecture of the XKE. And sitting in one gave you that view across the long hood up front that you never forgot. Fifty years later and it’s still a magnificent machine to see on the road. Dennis Gray’s photo captures the power of this car. My vote–the Jaguar XKE. Thanks John for reminding me of my first sighting of an XKE. I was around 10 yrs. old walking home from school and there it was in my own neighborhood. Impossibly low, long and sleek. A super model in suburbia. I measured the roof line on my body so I could describe it to my brother when I got home. Some fantastic images to choose from again this year! I could go on, but the “gulf” blue Porsches win.